Our Best Fit Adjustable Comfort Dog Muzzle is designed for the perfect fit when temporarily muzzling your dog. Available in XSM 3-3.75", SML 4.5-6", MED 6.5-9", LRG 8.25-10.5" and XLG 10-13". Our muzzle features a loop and hook chin strap that allows for a custom fit and elastic across the top that helps prevent the muzzle from riding up into the dog's eyes. 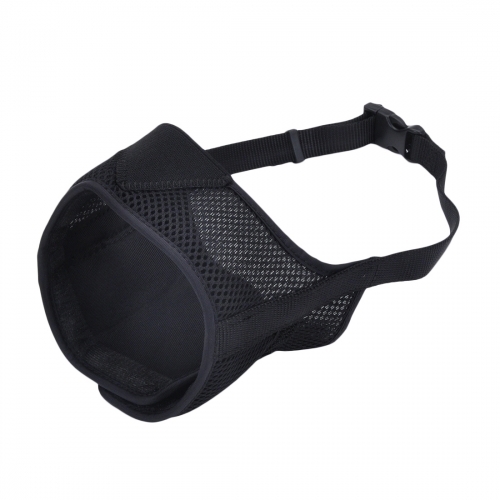 This dog muzzle comfortably allows the dog to drink water and pant.